I myself rushed over to Korea Games to snag one of the few remaining copies of Coconuts. Haha. It's a hilarious game I tell you. I'm very fortunate they still had some left for me. We actually split up today unknowingly ( we lost each other ) so we had time to check out some stuff on our own before bumping into each other at common hunting grounds. 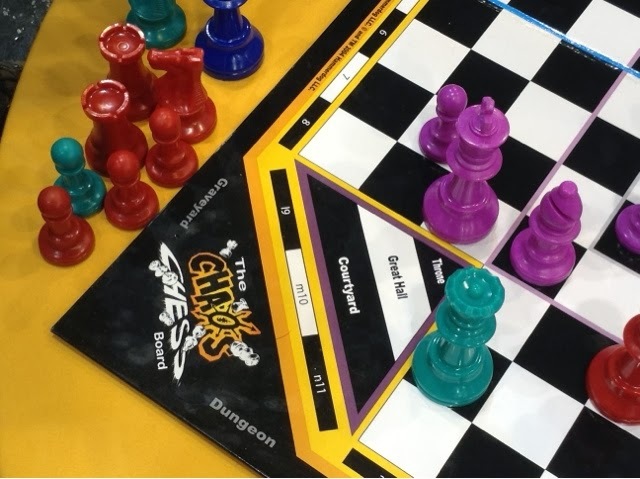 One of us sat down for a 4 player game of Chaos Chess. 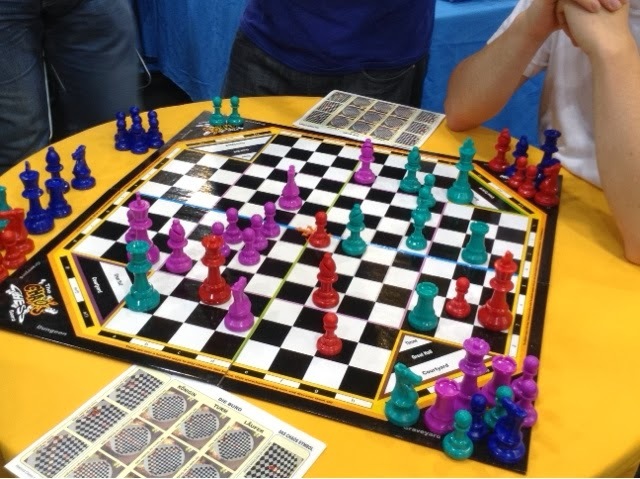 From what I heard it's not bad if you have 3 other chess fanatic friends. The pieces move differently in the sense that the pawn moves diagonally and eats adjacent pieces. Also there is a base at the corners that significantly increase the power of each piece. With a queen at the base, you could literally kill anyone within 3 rows to the queen's left, right, and front. Like total defence man. It took awhile though, about 40-60 mins. The game is own by points where you score for capturing certain piece types of each player. I didn't play it but that's what I gathered from the teaching and post play talk. Well, he bought the game without a demo and I just want to say that I don't like your business practices. No thank you very much. After paying the cash and getting a bag from the guy ( which was quite a task in and of itself ) he didn't even bother to offer my friend the promo cards ! As far as I knew, these cards were supposed to be given with every purchase. I saw them distributed on the first day itself while waiting for a demo. So after pointing out to the guy that he did not give my friend the promo cards, he gave us some whatever look and had to fiddle around to find it for us. And after that he just put it in without explaining why he didn't voluntarily offer it to us in the first place. Sheesh. Ripoff. 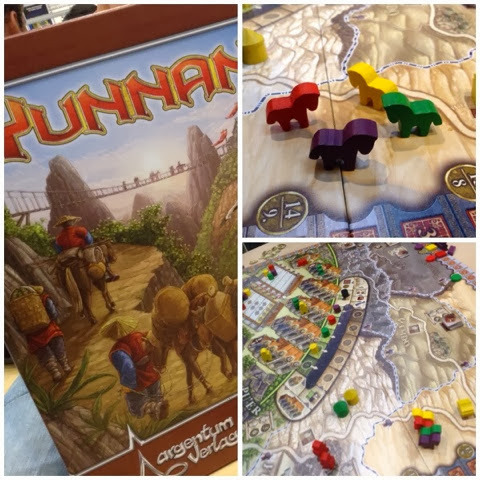 We headed over to Argentum to demo their new release - Yunnan. 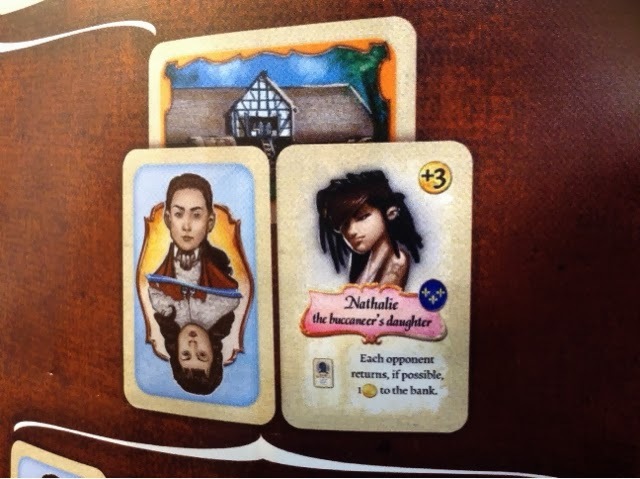 It's supposed to be a game about brewing tea or trading tea in the provinces of China. Well, we didn't quite enjoy it as much as I thought we would. In fact I would call it a slight disappointment. The booth was fully booked most of the time, but the staff were patient and accommodating. We had to be patient to get their attention too but at least they were friendly. The game wasn't good IMO because I feel that the game has only one path to victory. Victory is won or lost depending on how far ahead you can travel. You get more money and points for having people placed in the further regions compared to that of the nearer ones. And this is basically what happens in each game ( that's what I foresee ). That's the major way to score points and every other action ( moving horses, increasing charisma, getting more workers, building tea houses and stations ) all lead to the one same point. So it became a matter of who did the actions first and in the correct order, or who didn't fight with you for your targeted space. 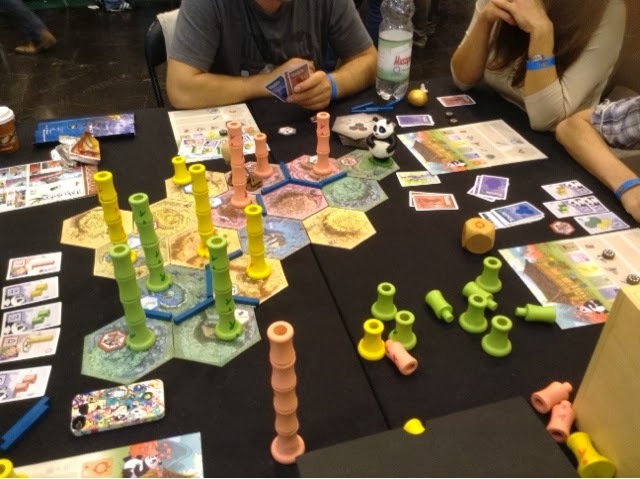 The art is beautiful and the horse meeples are the best horse meeples I have ever seen, but sadly that's all I can appreciate about the game. While apart from the rest, I bumped into a small game booth in hall 2 where there were Korean games on display. 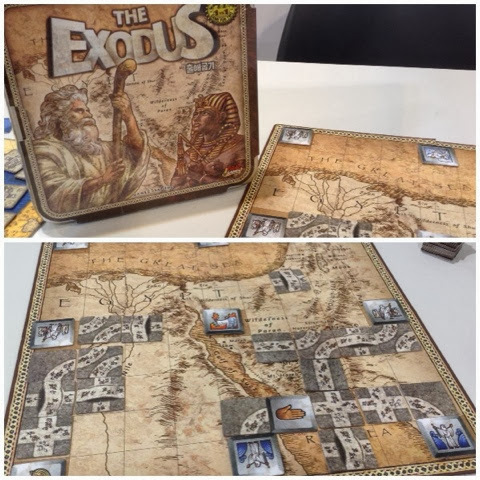 I saw a game about Moses and Pharoah and decided to enquire about it. The lady was really sweet though she was mainly proficient in German. We had to sign language and rely on prompts to understand each other. We got a game in though and I liked it enough to pick it up. Next up, just to show it existed, please meet the "my little pony collectible card game"
I'm not mocking it, just showing it cos I was surprised to see it. I love the art btw. I might check it out when my friend leaves, don't want to lose my street cred. Haha. 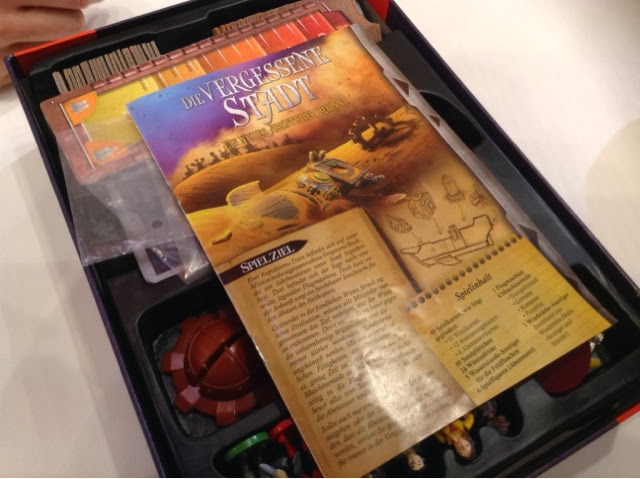 I finally managed to get in a demo of forbidden desert. I heard its way better than forbidden island and I can safely say it's all true. 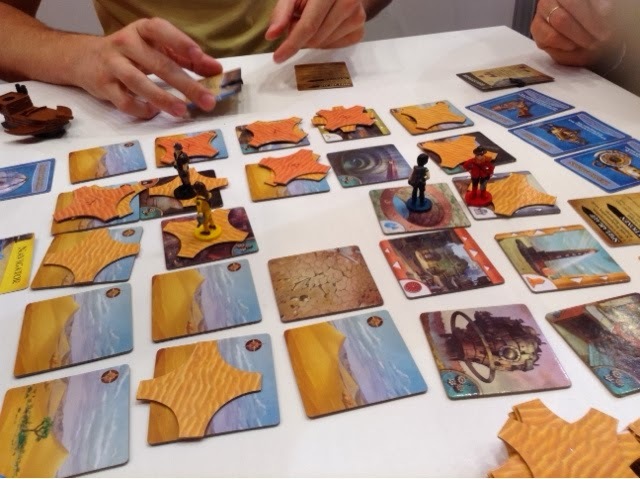 I wouldn't play forbidden island again if I have the choice to play forbidden desert. The moving of the tiles when the cards are drawn is a fantastic idea and the gameplay is enhanced with the inclusion of the special artifacts and the way you track down the parts of the plane ( you have to reveal two tiles to find one part of the plane, the intersecting lines tell you which tile to make a search on ). We died cos I ran out of water, sorry guys, I am the weakest link. Haha. 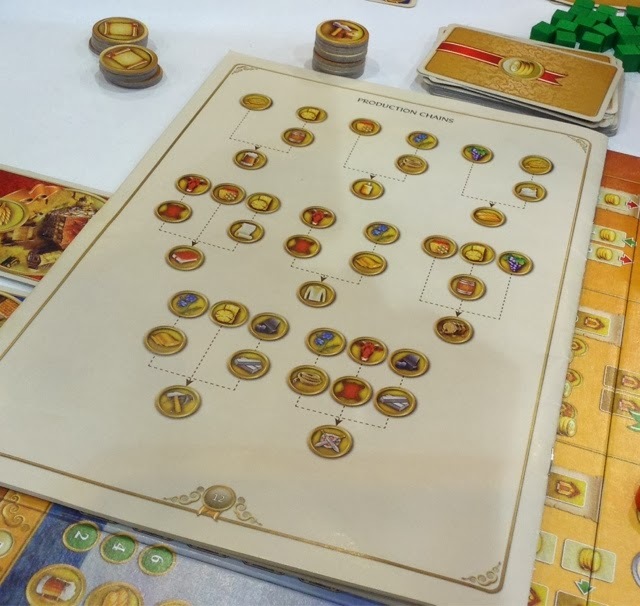 I might consider picking it up, though I didn't see an English version in the wild at Essen. 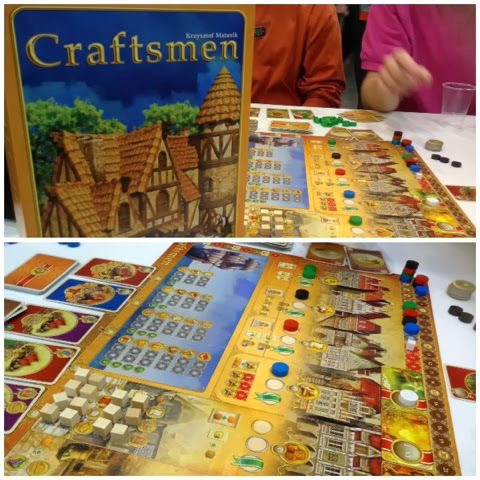 Craftsmen was on Eric's wish list so we decided to see what it's like. Man, the explanation took nearly 30 mins and that was the short version. The game is heavy I understand, the game is also meant to be complex. But really, this game is needlessly complex. It's like it's trying to be complex cos it doesn't want to be simple. Maybe cos it thinks that by being complex it will be widely received. Honestly, there's nothing unique about the game as it's a game about getting money, building buildings, and using the buildings to convert resources to either sell for money, ship for points, or use them to chain with other buildings. 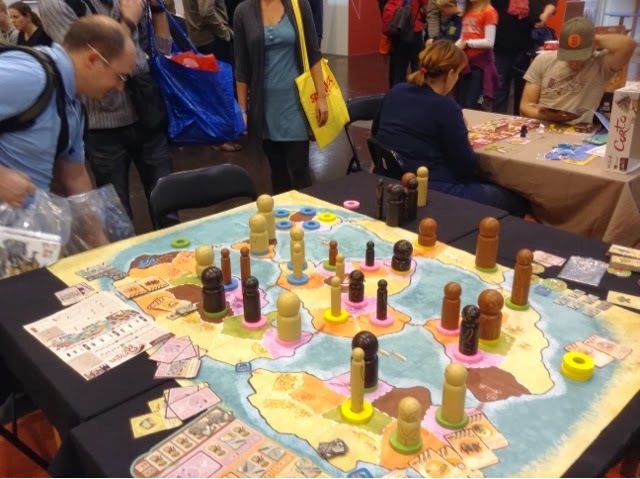 It has a slight worker placement aspect that give you benefits for being early. 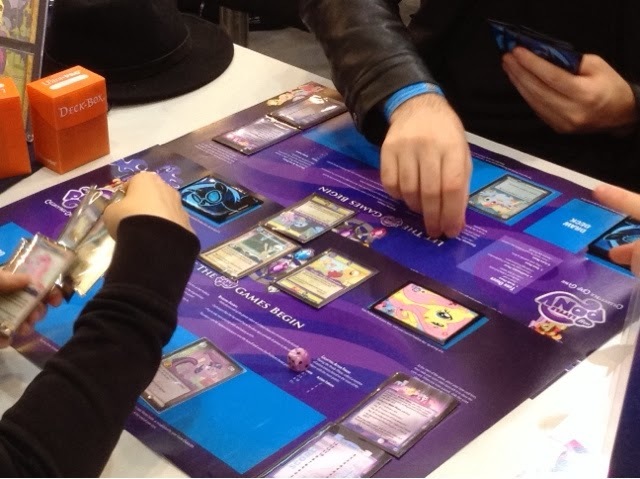 These include being able to bend the rules for some actions like building a building without requiring the match your previous building colors, or refreshing building cards before making your purchase. But everything has been done before in a smoother and less complicated way. It says 2-3 hours. For real? I can't imagine sitting there for 2 hours playing a complex game about simple game mechanics. Don't believe me, look at their production chain. What the hell is that ! Do this and this and this and get that. What ? This is like some space game tech tree but all so that you can produce beer, and books. 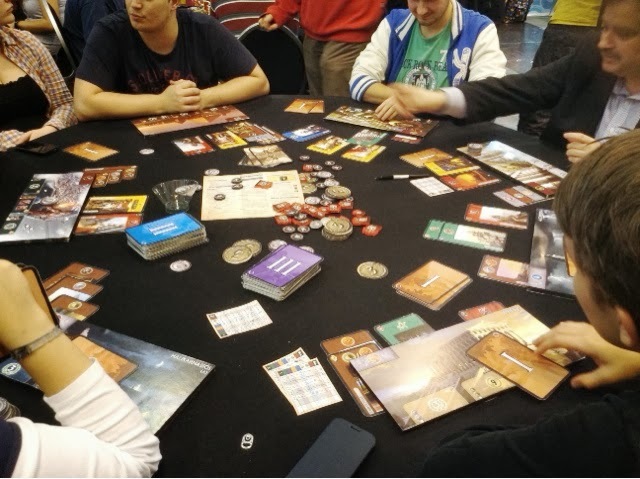 Anyway, we played a turn and it was time for the exhibition hall to close. Literally saved by the bell. Well that's all for today. I'm zonked. Played a few others that I might have a separate post about or maybe I'll just forget about it shortly after. We'll see.